80% of customer decisions are driven by emotion. The trouble is, emotions are notoriously difficult to manage, control and even understand. No matter how bright and cheerful your customer service is, unexpected events will crop up and it’s these very events that can turn customers into Ranters, often more quickly than you can say ‘incoming angry Tweet’. The way the weather plays havoc with our emotions is a prime example. 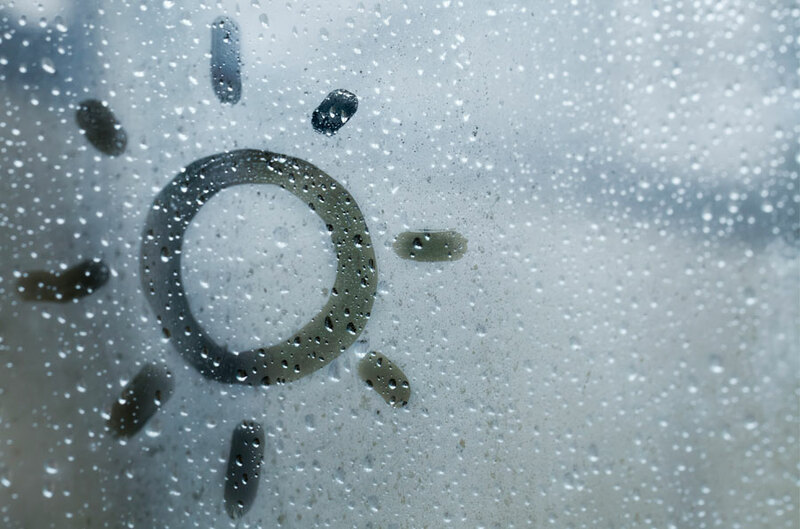 Whether it’s frozen tracks, clogged drains, dusty droughts or freak storms, they all have an impact on customer emotion. It’s no surprise that the travel industry is easily upended by the elements, whilst the utilities sector is left struggling through power cuts, frozen pipes, and boiler-based disasters. When confronted with these issues, your Frontline staff need to be on their A-game. They need to demonstrate empathy and do their best to keep customers happy during these incidents. So, what can you do when you’ve just turned on the news to discover Storm Helga’s going to rage for another four days? We’ve got a simple solution: get ready to listen, communicate and act. The first point is obvious: you can’t stop every frustration, but you can make sure you listen to what customers are saying. Take inspiration from First Bus, a CX-led brand found in the Big Book of Ravers. With crowded buses and fractious customer interactions, First Bus were concerned with both the experience they were delivering and their reputation – all of which becomes more challenging during bad weather. They implemented Rant & Rave’s platform, kicking off their VoC programme with always-on Listening Posts to capture actionable insight and really understand customer emotion. As a result, they’ve been able to address issues in real-time, helping drivers to improve their service. Once you’ve listened, communicate! Obviously, events caused by weather – the delays, the cancellations and the icy roads – are frustrating, but most people understand they can’t be helped. The real frustration arises from a lack of information, which means you need to make sure you keep talking, keep sharing and keep people updated. But remember to do this in customer-focused language: as customer service expert Ron Kaufman puts it, ‘Industry jargon may not be a language your customer understands.’ Make sure your staff have the training and tools to talk to customers in a natural, clear way – and, in your quest to make every customer story a happy one, make it personalised where possible. Social media is a great tool here, allowing you to acknowledge and respond to individual concerns instead of just pinging out a blanket response. Finally, during key moments (say, when a customer is actually on the phone) make sure your frontline staff have the freedom to act with empathy and sensitivity. First Bus has put this into action, with a pledge to put their frontline staff first and thus improve customer experience. During last year’s heavy snow, one of its drivers took it upon himself to sing to cheer up passengers stuck in traffic for two and a half hours. This sort of spontaneous act is much more likely to come from an engaged employee, so ensure you’re working on this, as well as your customer focus – great CX starts with employee engagement, after all. UK Power Networks is another fantastic example. As a distribution network, it’s liable to receiving a veritable snowfall of ire during power cuts. With the help of Rant & Rave, UK Power Networks has worked hard to engage employees and empower their staff to act with empathy. When a power cut disrupted a dinner party, a UK Power Networks employee was able to go the extra mile for the customer, not just by keeping them updated, but by helping to find a takeaway. Although this was a small gesture, the customer was delighted – which shows just how much these little extras can mean. When an unexpected situation damages customer emotion, you can’t control it – you can only control how you respond. Although the way you do this will vary depending on your brand, the message is clear. To weather the stormy seas of customer service, make sure your staff are engaged and empowered to listen, communicate and act. Through this, you can create engaging experiences in the moments that really matter – keeping a smile on your customers’ faces, even if another Beast from the East rears its head.